Crawling into bed after a long day should be a relief, but sometimes a restless mind only adds to the stress. A new Kickstarter-funded weighted blanket called Gravity is engineered to calm active nerves. As Business Insider reports, the polyethylene pellets in the blanket promise to simulate deep touch therapy, a type of treatment used to comfort patients with anxiety. Weighted blankets first made waves in the pediatric community in the late 1990s. According to Forbes, Keith Zivalich came up with the idea after his daughter flopped a Beanie Baby lizard over his shoulder. The gentle weight of the toy felt like a soothing hug, and he wondered if he could recreate the sensation on a larger scale. Zivalich came up with the Magic Blanket, a bean-filled comforter for children. The enveloping pressure of the blanket stimulates the release of neurochemicals like serotonin and dopamine, which help alleviate stress. The therapeutic aspect has made the blanket especially popular among children with anxiety and autism-related sensory disorders. 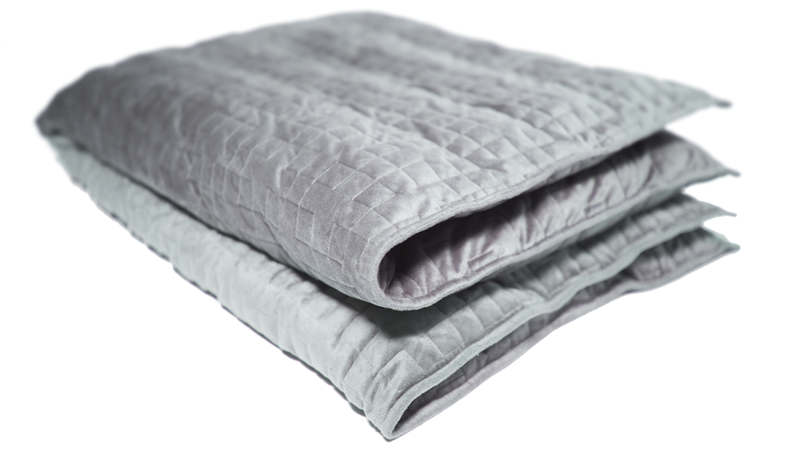 Unlike most weighted blankets, Gravity is designed for adults. And according to the product's creators, its relaxing effects aren’t limited to people with more serious issues—anyone dealing with stress in their daily life can reap the benefits. The Gravity blanket just concluded a funding campaign on Kickstarter where it raised over $4.7 million. If you missed your chance to donate to the project, you can subscribe to email updates through the product’s website.